I owe my addiction to ramen to Yotteko-Ya. 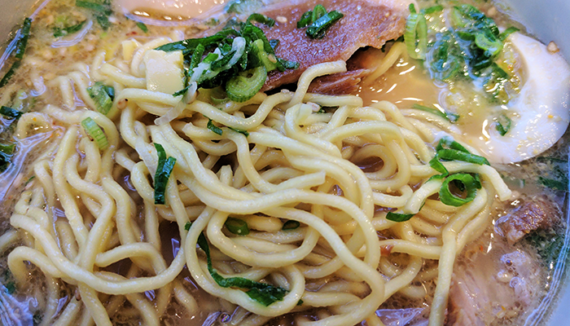 The small shop at McCully Shopping Center was my initiation into the world of true ramen, and it left me hungry to try more. But as I tried bowl after bowl at other shops, Yotteko-Ya remained my No. 1. Now that it’s gone, I need to move on. Here are my top 5 ramen shops after Yotteko-Ya: places that fill the void in my heart and belly. After Yotteko-Ya opened my eyes to how marvelous ramen could be, Goma Tei at Ward Centre was my next discovery. My ramen of choice there is the Char Siu Tan Tan Ramen ($11.80). The defining characteristic is the meat portions. Other shops top their bowls with slivers of char siu. Goma Tei gives you a fatty, tender slab — in a regular Tan Tan Ramen. 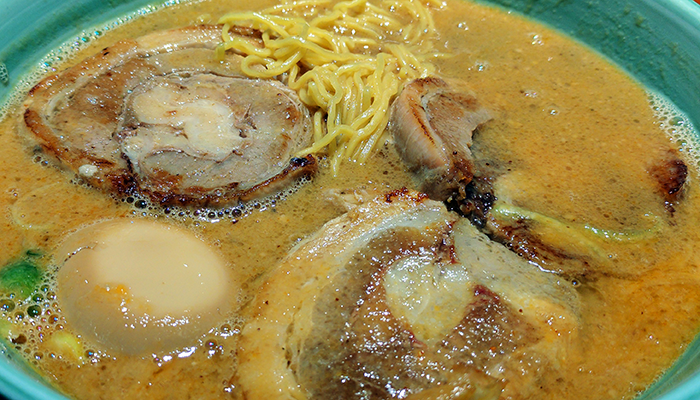 Char Siu Tan Tan Ramen includes two more generous slabs. While the flavor of the meat isn’t as pronounced as I would like, the generous portions make up for it. 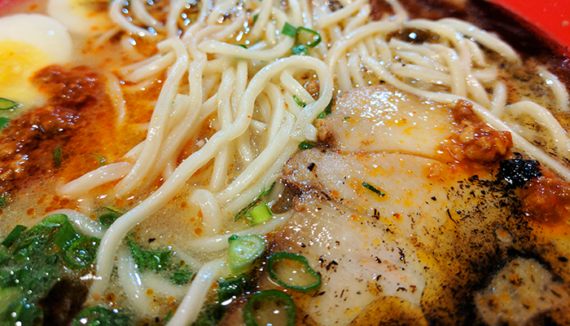 The broth is spicy and steeped in sesame flavor, and the noodles can be firm and chewy. At the end of the meal, I’m sweaty but satisfied. Ramen has become a comfort food for me. The fact that Manichi is a 10-minute walk from my apartment makes this even more the case. I found Manichi when it lived in the old Shirokiya beer garden and followed it to their Kona Street location. Manichi’s claim to fame is their gyoza, which has won awards in Japan. Their signature Karamiso Negi Gyoza ($7.50) is topped with green onions and their spicy karamiso sauce, both of which balance the gyoza flavor. While it is delicious as it sounds, I don’t go to a ramen shop for the gyoza. I go to Manichi for their Manichi Special Tonkotsu-Shibori ($13.50) topped with char siu and tamago. After Yotteko-Ya, this was the next shop where I found myself drinking every last drop of broth. Spicy karamiso adds a nice pop, but not enough to break a sweat. Along with black garlic oil, it creates a unique flavor that creeps up on your taste buds. When it comes to ramen, I look for meat. Hokkaido Ramen Santouka next to Don Quijote on Kaheka Street is where I go for flavorful meat. After Yotteko-Ya’s signature kakuni, Santouka has the next best thing. My go-to bowl is their Toroniku Shoyu Ramen ($12.50). This bowl comes with sliced simmered pork cheek served on a separate plate. I dump all the pork cheek into my bowl while the broth is still hot. The meat is juicy and delicious. The texture is soft, yet firm, and yields a subtle salty flavor with every bite. 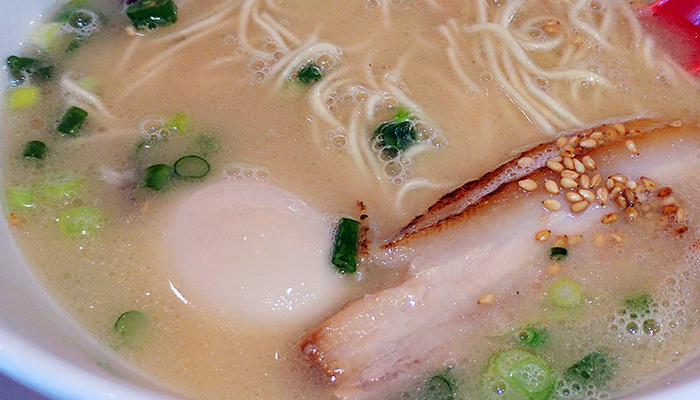 The broth’s creamy, savory taste partners well with the pork cheek. This would be my favorite broth as well, except that the flavor tends to fade toward the end of the meal. As much as I love meat, for me it’s the broth that makes the ramen. Now that Yotteko-Ya’s paitan broth is gone, my favorite broth is at Golden Pork. My go-to bowl is their Golden Pork Classic ($10.95). The shoyu-base is thick, fatty and delicious. It’s accented by a buttery flavor and creamy, silky texture that lingers in your mouth. I sometimes find myself devouring the broth faster than the noodles or the meat. What makes this broth standout is how the flavor remains consistent to the last drop. Note: I made the error of thinking that if I ordered more noodles, they would add a commensurate amount of broth. Not so. Sadly, the extra noodles soaked up the broth and began to melt. This left the broth bland with a strong taste of flour. Now I skip the extra noodles and just order tamago. If the meat at Golden Pork went beyond standard ramen char siu, this would be my new No. 1. I must admit, Agu Ramen did not impress me at first. 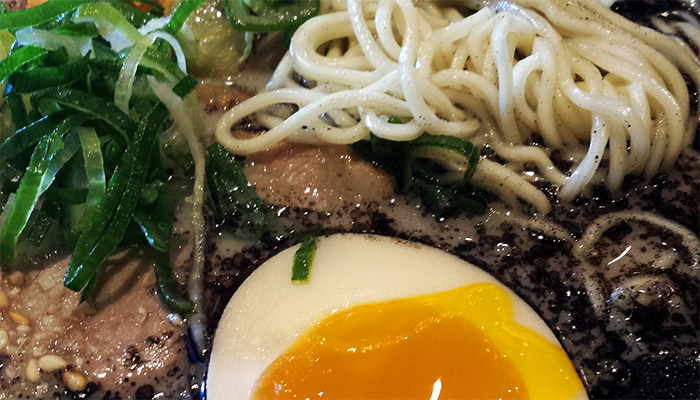 My taste buds had become accustomed to ramen shops with broth and meats bursting with flavor. But while my first experience with Agu left me underwhelmed, I found myself there again and again for various reasons. The more I ate their ramen, the more I began to notice that there was more to a bowl than bold flavors that hit you from the start. There are subtle flavors that creep up and surprise you as the meal progresses. That’s what I discovered with Agu’s Original Kotteri Tonkotsu Ramen ($12.50). For me, the key elements of ramen are broth, meat and noodles. While other shops may be better in a particular category, Agu is balanced across all three. Their broth is tasty but not overpowering, with a subtle reveal of salt, seasame and garlic. Their meat is thin, but with enough flavor to be memorable. The noodles are firm and strong. Individually, these components at Agu do not surpass the previously mentioned shops. Put together, Agu’s ramen has found that balance that makes it my new No. 1.